DesignApplause | cheese please by gabriele chiave for alessi. 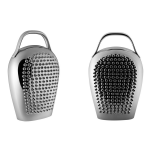 cheese-please alessi Unique Modern Stainless Steel COARSE Cheese Grater and Parmesan Grater – cheese please cheese grater; an object in two words: “cheese please”! an item that is a play on words, this grater shaped like a cowbell is called “cheese please” and is designed by lorenza bozzoli and gabriele chiave. its eye-catching and evocative cowbell shape also proves to be the best way to interpret its functional aspect. 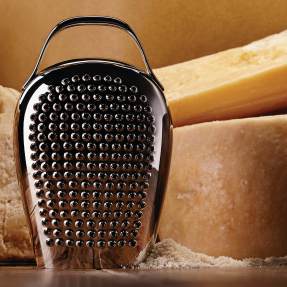 the bell handle is a comfortable way of holding the grater and the arch of the steel body accentuates its ergonomics. 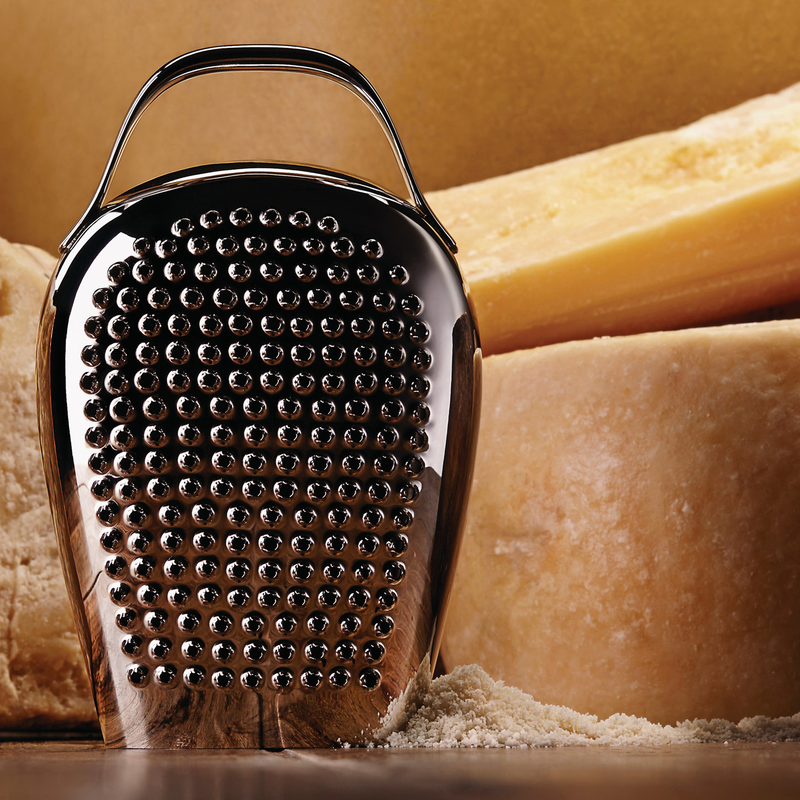 the mouth of the bell narrows slightly, making sure that the grated cheese falls directly onto the plate below. 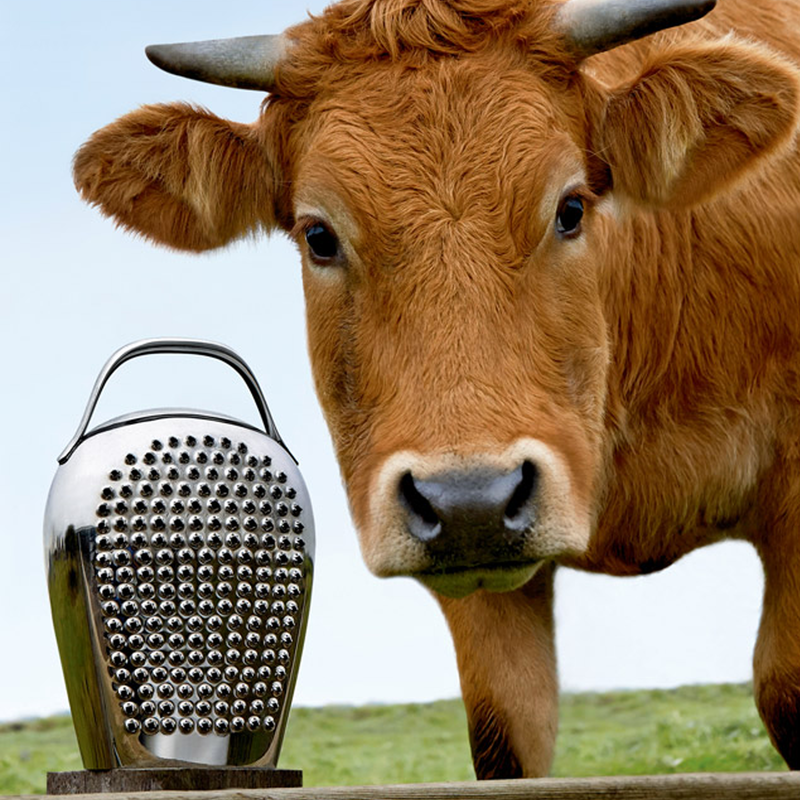 the functional aspects considered during its development also include the shape and distribution of the holes – “cheese please” has circular holes surrounded by tiny teeth. this kind of hole tears at the cheese, a process particularly suitable for mature varieties such as parmesan or pecorino. it is also easy and decidedly practical to clean after use. “cheese please” is made from 18/10 stainless steel with a mirrored finish.